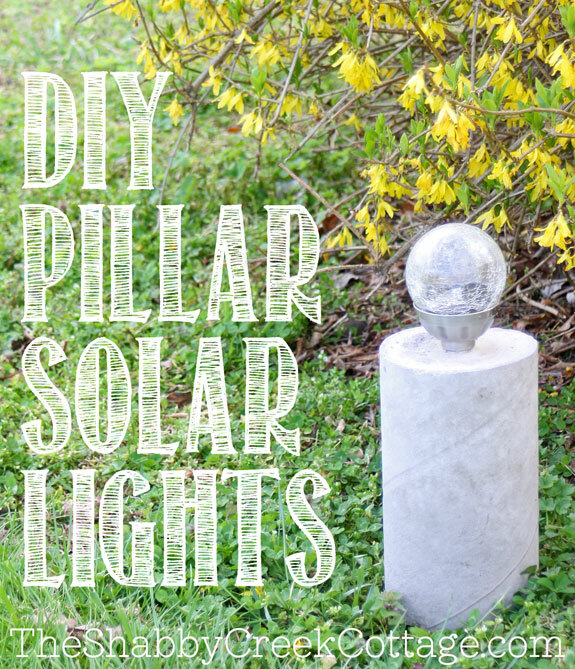 Spring is finally in the air, so I’m ready to work on my outdoor decor, with projects like my DIY pillar solar lights. They’re made using those simple stake solar lights that are super cheap. The problem with those metal tubes is that they can blow over in the wind, and if you have rocky ground (like we do) you may have problems getting them in the ground in the first place. And, since we never know which area of our huge yard that we’ll want to hang out on any given day. So, I came up with a way to stabilize the solar lights, make them move-able, and to make them pretty with an industrial twist. If you can make pancakes, you can do this project – it’s really easy and I’ll show you how! 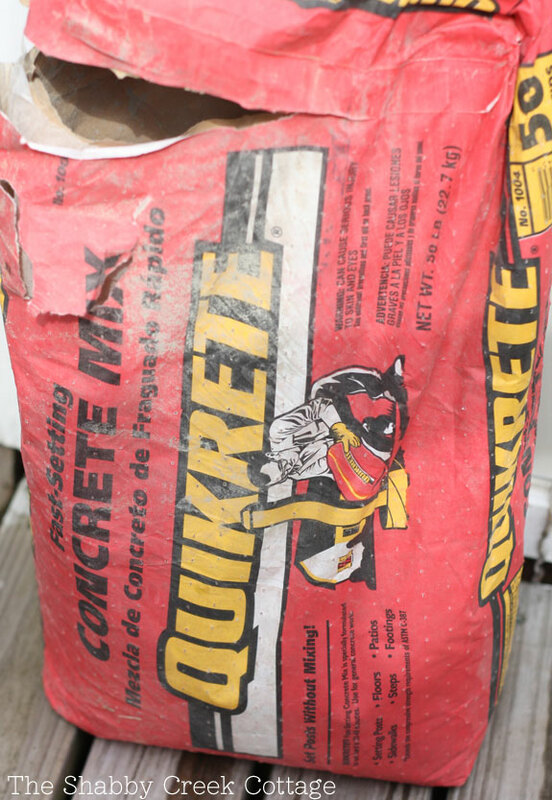 You’re also going to need some quick setting concrete – I used Quikrete in the red bag, also from Lowe’s. This stuff sets up really quick – which is good and bad. It’s great because your posts will be ready in about 24 hours. The only bad part is that if you’re making multiple posts you’ll need to mix it in small batches. The only other thing you’ll need is some water (which we used straight out of the hose.) I only used a tiny portion of the bag, so I’m pretty sure you could probably make about 20 out of one. 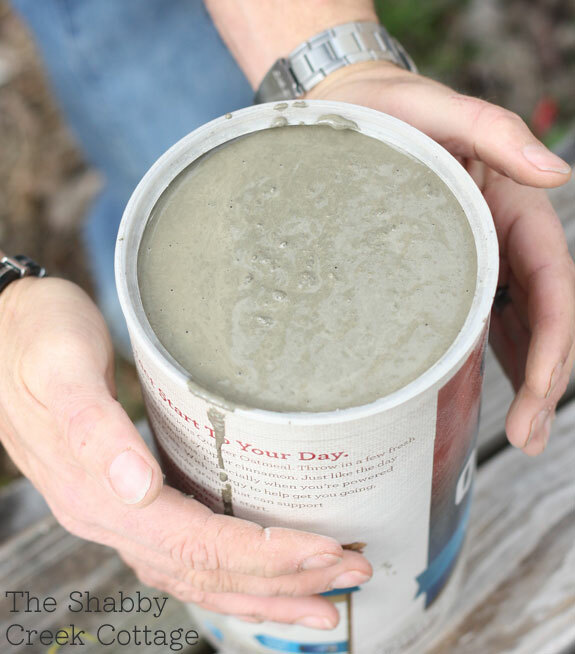 Also, tap out the empty oatmeal box to get rid of any lingering particles, so that it’s ready to hold the concrete. 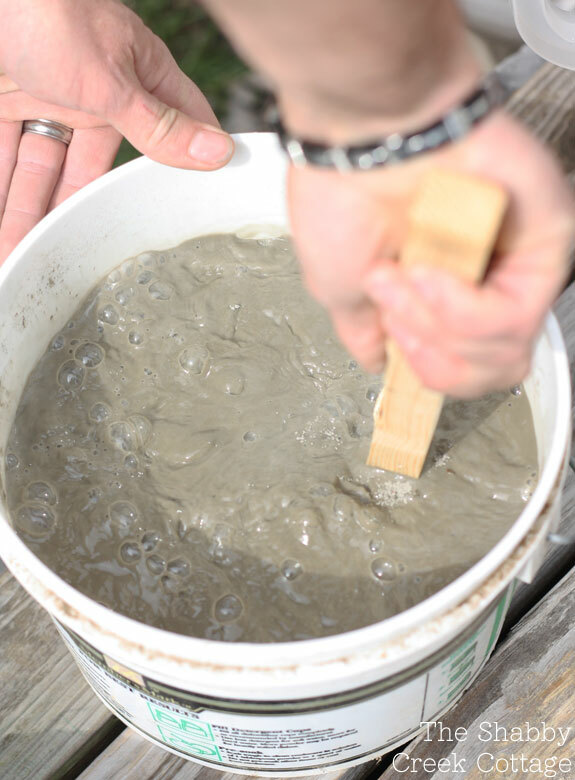 Next, mix together your concrete, adding a little water at a time until it’s about the consistency of thick pancake batter. Now, pour it to *almost* the top of the oatmeal container. 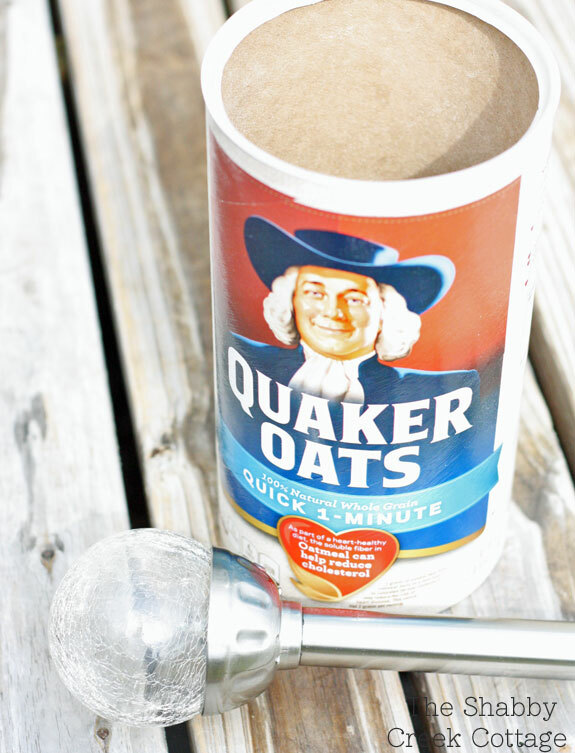 Why an oatmeal container? Because it has a waxy coating on the inside and the concrete won’t stick once it’s cured. And also – it’s a great way to recycle! Next, tap, tap, tap on the sides to get out the air bubbles. 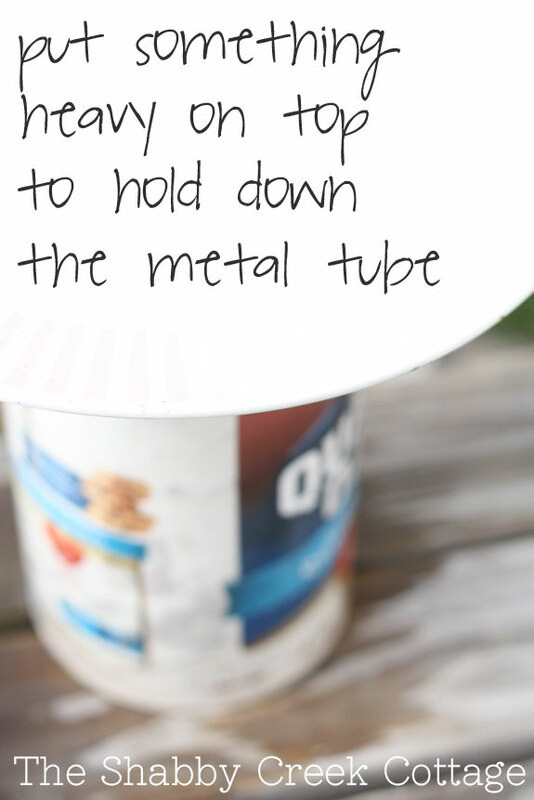 Then insert the tube into the middle of the concrete filled oatmeal container. 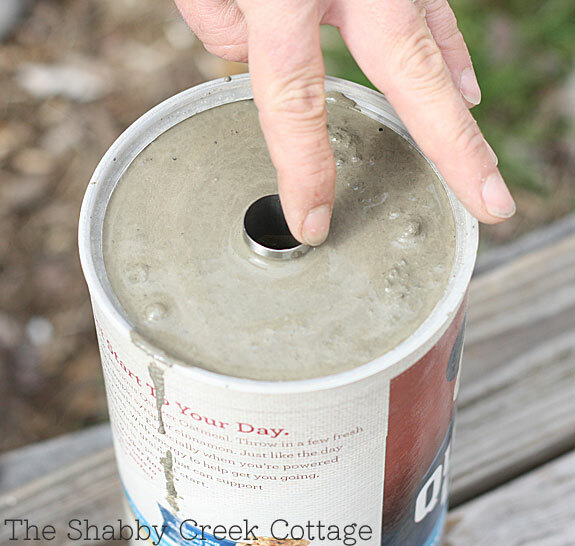 Put something on top, so that it holds the tube in the concrete, if you don’t it will just float to the top. You want the tube buried, ya know? After 12 hours, carefully peel off the oatmeal container. After 24 hours, it’s cured and ready to go. Just put the light back in the tube as it goes, and you’re ready to soak up the solar rays and light up your evening events. I think a row of these would look amazing around a pool, too, don’t ya think? Like this solar light project? 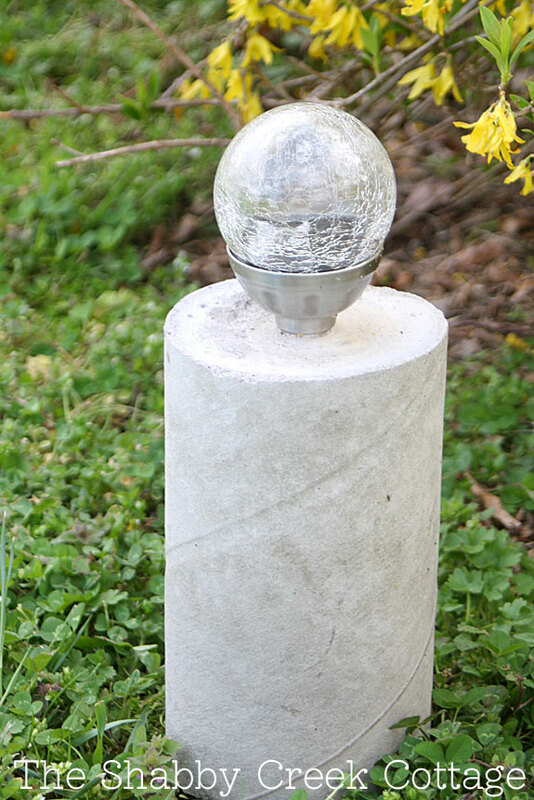 You may also like my DIY upcycled solar light. They would look great around a pool where you might do some night swimming. A few of these would look great in my garden. Clever, clever idea. I’m trying to think of some other containers to use. We don’t eat oatmeal and even if we did, it would take a long time to get enough cartons to make several of these. Suggestions? Gina, this is genius! I am making some of these! 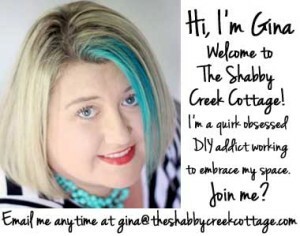 These are really cool Gina! What a smart idea!! Just what I need! Sticking them in the ground at my front steps isn’t working. Sometimes they get run over by the lawn mower and at night they are too low to the ground so instead of lighting the way they make a strange illusion and I can’t see the steps.I will most definitely do this. Thanks for the idea. 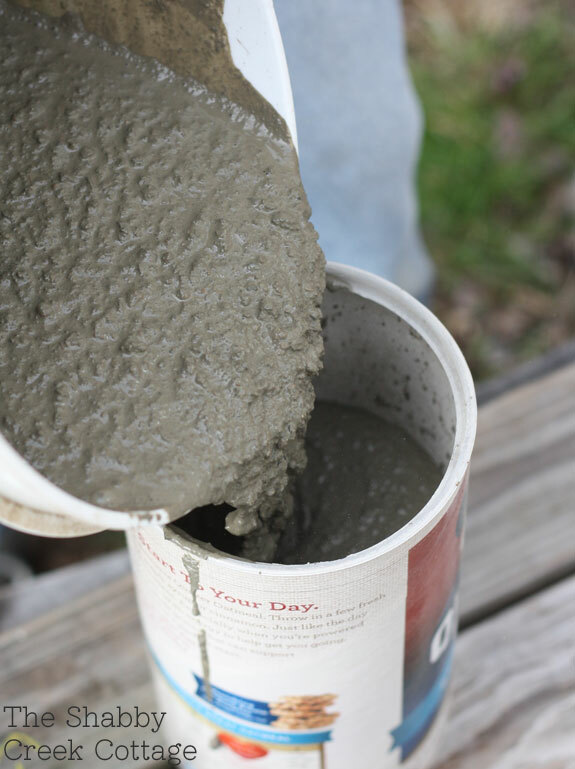 I’ve always been apprehensive about mixing & using concrete in crafts or small projects because I’m afraid I’ll not get the consistency correct & the whole project will have to be scrapped. These instructions are pretty straight forward, except I was wondering if I someone can give me an approximate amount of water to add to the dry concrete, so I have a starting point, at least. I love solar lights & can’t wait to try this in the spring! Thanx! This is so cool! Finally a light that the dog won’t knock over! 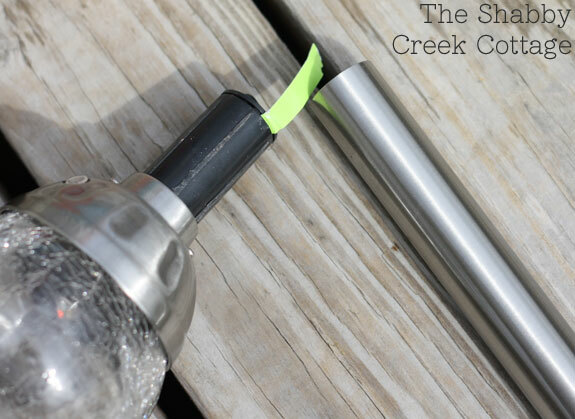 =) I would love to link to this in my next Outdoor Roundup if you didn’t mind. I love working with concrete. Thanks for the great idea. I just wanted to let you know; I plan to do this! This is one of the COOLEST DIY crafts I’ve run across (originally found on Pinterest). I haven’t made it yet, but I will be 😉 I think I’ll do it in November for my mom’s birthday, since this upcoming week will be so crazy with everything before this years’ mother’s day. My mom LOVES her garden/pond, and 3-4 of these to go out at her pond would be absolutely amazingly fantastic! I know she would have to love them! I’m so excited about it! 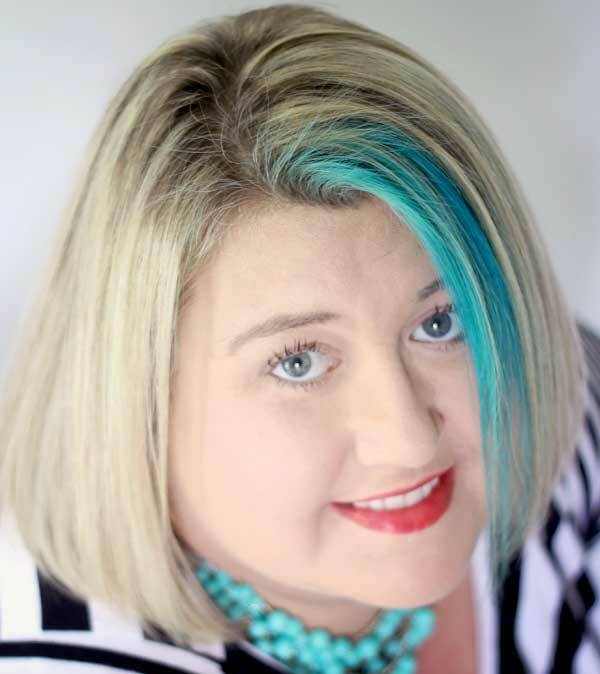 I just created my new blog and my first real post was 24-Mothers Day Gifts that don’t Break the Bank! I shared this, and wanted to let you know in case you need any additional kind of credit/linking. 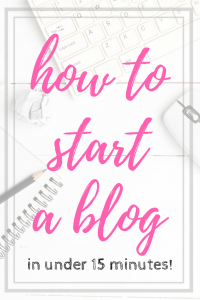 But your blog is amazing, and I thank you for sharing this! Great idea. Is it safe to assume that you cut the bottom of the oatmeal container out in order to get the cement mold out? and did you say 1 bag of cement makes 20? If so, what is the weight of the bag i.e. 60lb or 80 pounds to get 20? Wonderful idea. Is it safe to assume that you cut the bottom of the oatmeal container out prior to putting the cement in it? Also, if you were able to make 20 out of 1 bag of cement, what size bag of cement did you purchase? I await your response would love to try this. I was just curious to know if anyone had done this and if any problems with the cement cracking during the winter with any moisture that may have gotten in the pipe and froze. I haven’t had any issues, and it’s been over two years now. This is bloody brilliant. I love my solar lights, but my dog thinks they are snacks. Snacks that leave glass and plastic all over my lawn. Maybe now I can have some lights below the 6ft mark!